I believe that my passion for design and positive attitude creates an enjoyable working environment for each of my clients, and that is important to me. 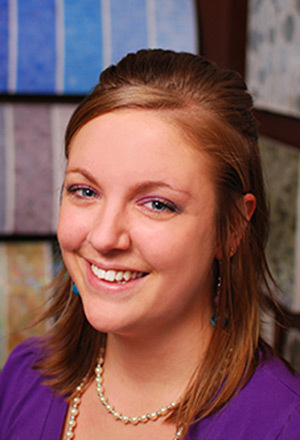 My affection and knowledge for the flooring industry has grown since I joined the H.J. Martin and Son team in 2012. I enjoy finding inspiration in old architecture, modern artwork and everyday occurrences in nature. My favorite design tip is to let your personality shine throughout your home.